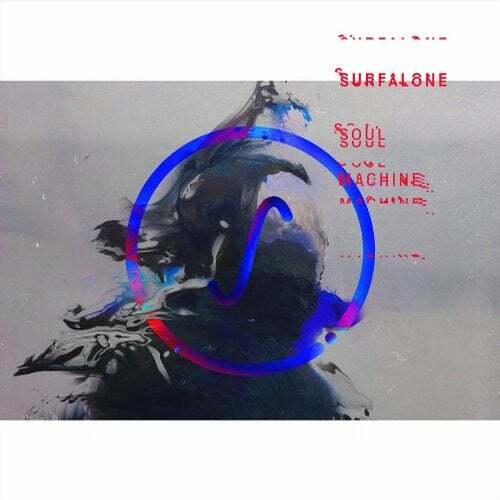 'Soul Machine' is the first single of the Budapest based newcomer SURFALONE. The single contains 5 remixes by artists like Throwing Snow, Becoming Real or S. Olbricht. The sound is an unusual mixture of acoustic instruments, aethereal samples recorded in the nature and deep techno grooves with fat bass synths. The artist grew up in Budapest's underground techno scene but he participated in several instrumental music projects, too. 'Soul Machine' is the first single from his forthcoming full length album inspired by his recent emotional and physical adventures. The metaphor 'wave' refers to the bipolar mind of humans, the sound waves in music and the waves of the ocean at the same time. Soul Machine is a story about an inner journey, digging and focusing inside ourselves and about learning to accept what we find there. There are five remixes on the release next to the main track. Throwing Snow's name must be familiar for the ones who are interested in contemporary electronic music. He has worked together with Four Tet and Flying Lotus and shared the stage with Bonobo and even Jon Hopkins. His musical world is built up by cutting edge post-rock moods and beats from genres like house and uk garage. We hope you will love his deep and dark remix of 'Soul Machine'. Becoming Real is a Norwegian new wave electronic music producer. His music varies from dark ambient to grime and footwork. Hi says music is the most honest type of art that doesn't try to be something it isn't. He prepared a rolling techno-style blast for the release. The following three Hungarian producers also remixed the original track: S. Olbricht, head of label Farbwechsel, 9b0 whose album titled 'Eleven' just came out last year at Selected Sounds Label and Nagz, the demoscene veteran. Akos Papp, brother of the artist is a NYC–based director and creative from Budapest, Hungary. His background is in advertising, where he developed his storytelling skills in a variety of channels. Since film was always his primary interest, he started directing on the side. The music video for his brother's single 'Soul Machine' is his directorial debut. Rudolf Costin is a NYC-based Romanian cinematographer. His camera work can be observed in documentaries like The Distance between Me & Me (dir. Nicoara, HBO co-production) and L'Europe des écrivains - La Roumanie (dir. Solomon, produced for ARTE). Costin has shot music videos for Craig Finn, LULUC, Day Wave and Oberhofer, as well as fashion shorts for GLAMOUR TV and brands like Hvrminn. He has also produced art pieces like Music: Everything I know I learned the day my son was born and A Logo for America 2015 for Alfredo Jaar.